caution !! this is an initial draft ... these notes are on my server for safe keeping !! The Whittakers, beginnings in Macclesfield. 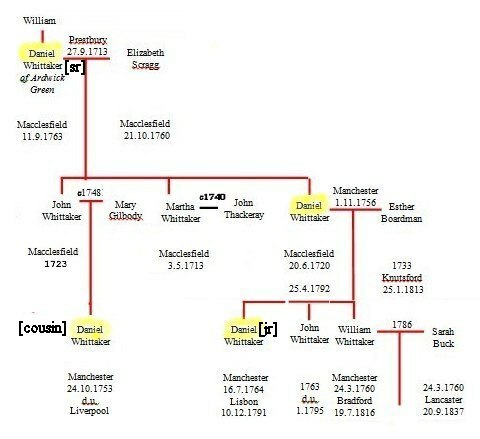 Daniel Whittaker Senior (-1763) on September 27th 1713 married Elizabeth Scragg at Prestbury, Macclesfield. They had twelve children including Martha (1713-); Daniel (1720-92) and John (1721-). Both Daniel and John became big in cotton. The family lived in Hurdsfield, just outside Macclesfield before moving to Ardwick around 1733. Nothing was known about their business interests in Macclesfield nor why they left? However much was written about the Macclesfield merchant environment around this time. John Corry told the story of the innovations of the freemen of Macclesfield which were helped by competitive Huguenot 'strangers', who established a formidable trade in silk buttons from around 1650. And a little after Daniel Whittaker left Macclesfield Charles Roe in 1744 started to build his first silk throwing mill by the side of the fast flowing Bollin, at Park Green. Father Daniel's parents and siblings have disappeared into the mists but a Robert Whittaker (1747-) erected a cotton mill Manchester Street, Ashton in 1791. His son John Whittaker (1776-1840) was born in Oldham and married in to the Wallwork family in 1801. He was associated with the Hurst cotton mills in Ashton and became a major employer in the early 19th century. No link has been established with this branch of the family? Martha Whittaker (1713-) married William Thackeray (-) in 1738. William was prominent in Manchester textile trade. 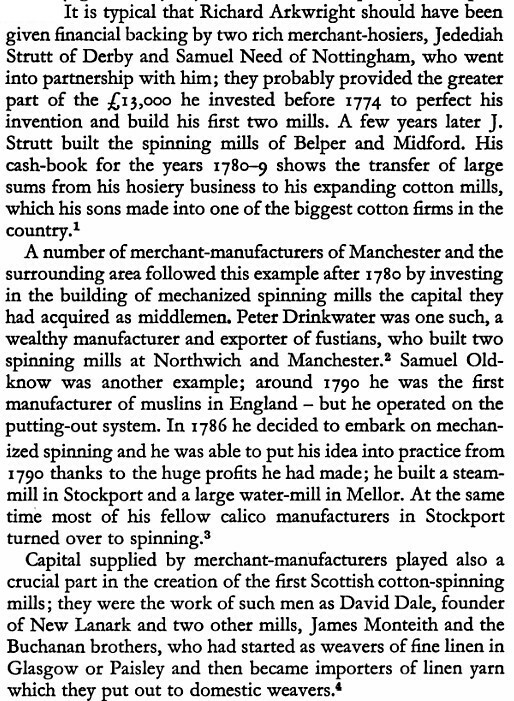 He was steward to Sir Oswald Moseley of Ancoats and the had a son Joseph (1740-), a cotton spinner and Boroughreeve of Manchester in 1801. Daniel Whittaker (1720-92) was born in Hurdsfield, Macclesfield, and married Esther Boardman (1733-1813) at Manchester Parish Church in 1756. It was Daniel's initiative which was behind the aborted proposal to build a cotton mill on the riparian site by the River Weaver at Acton Bridge. 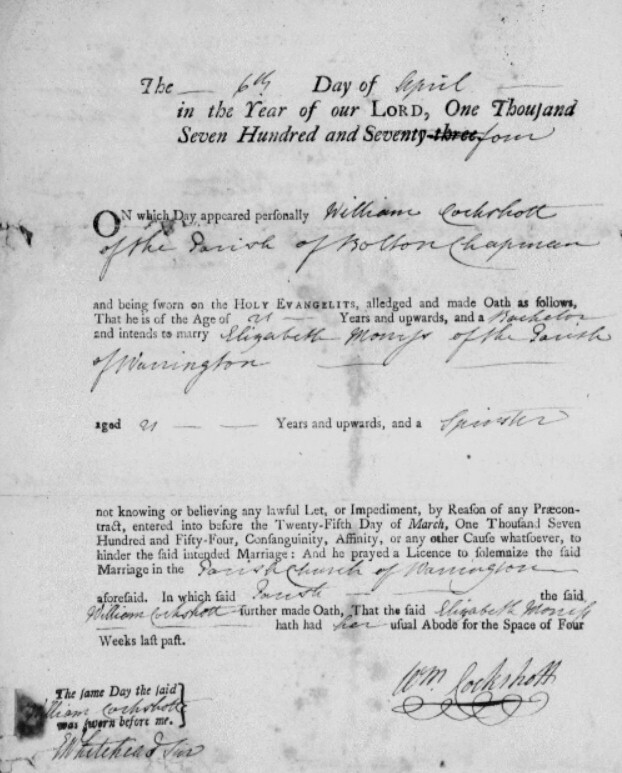 William (1760-1816) of Manchester, merchant, formerly of Bradford, married Sarah Buck (1760-1837) who was from a Unitarian family from the West Riding, in 1786. The Manchester Mercury notice of the marriage suggested a Daniel not William Whittaker was involved! William inherited his dad's business in 1792, which went bust in 1793 ... William sired the only surviving Whittakers from this branch of the family. William died aged 56 a broken man. John William (1791-1854) married Mary Haughton Feilden in 1825, they had nine children. The Rev John William Whittaker was vicar at Blackburn from 1822 until his death in 1854. It was John William who assembled the Whittaker letters and secured a remarkable legacy ... John William was a brilliant student at Cambridge and went on to a successful career in the Anglican Church which was summarised by Dr Derek Beattie in 2008. Daniel was a partner in the family business until his early death in 1791. John (1763-94) was also a partner and overseer at Holywell. Mary (1769-1840) was baptised on 25 January 1769 at St Mary's Manchester. Mary became governess with the Holland family and later the second wife of Peter Holland (1766-1855), a Knutsford Surgeon, and they were married on 21 January 1809 at Walcot in Somerset. Peter was a considerable man, a second cousin of Charles Darwin (who was also Josiah Wedgwood's grandson), a pioneer of occupational medicine, and advisor to Samuel Greg at The Quarry Bank Mill and to the Leycesters of Tabley. 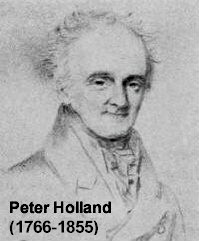 Stella Davies tells of Dr Holland's attention to those in need in mid-Cheshire and also confirms that his enterprising son was the Henry Holland who wrote at length about Cheshire agriculture in 1808. Daniel Whittaker (1720-92). Richard Reynold knew of several descents from the Holland family of Mobberley and Knutsford, so knew of Daniel as the father of Mary (1 Jan 1769-5 Aug 1840) who married Dr Peter Holland as his second wife. Peter Holland's son Henry, by his first wife Mary Willets, was the one who wrote about agriculture in Cheshire and became a Baronet: a great deal of information about him and his remarkable life is available online and elsewhere. The Whit(t)aker family name was common in the north of England. We know of Mary Whitaker (ca 1707-1769) who married John Roberts at Leeds parish church on 10 May 1731? They lived in Norwich and changed their surname to Robberds. Their great-grandson was the Rev John Gooch Robberds (1789-1854) who was William Gaskell's senior Unitarian co-Minister at Cross Street Chapel, Manchester, was married to Mary Turner whose mother was a Holland (and knew many of that family) and was my 3xgreat-grandfather. Martha (-) married Francis Sharpe, a noted music master in Knutsford. 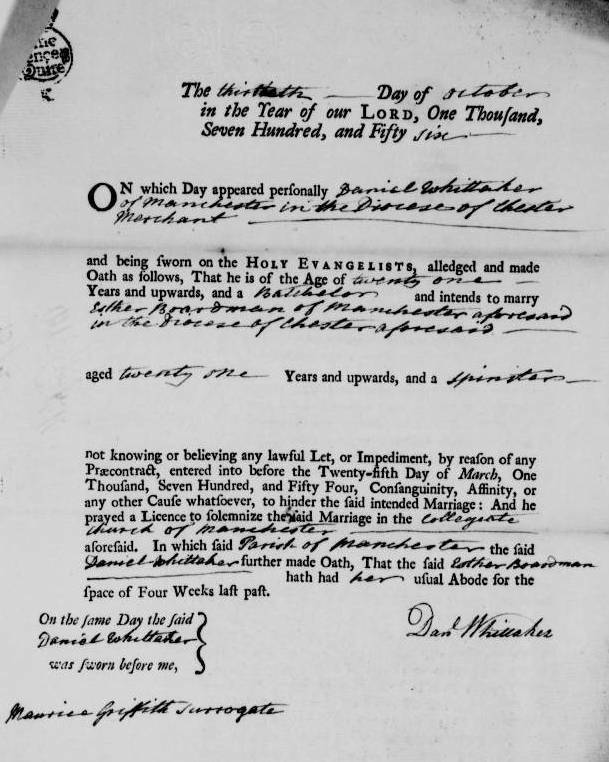 Frances (-) married Thomas Broadhurst (-) a Unitarian minister. The pair moved to Bath and opened a girl's school, Belvedere, and they wrote considerable about girl's education. Thomas (1767-67) died in his birth year. Daniel died in 1792 and left a will - Daniel Whittaker, Lancaster, Lancashire, February 1793 - Prerogative Court of Canterbury Wills Index 1750-1800 - Society of Genealogists. 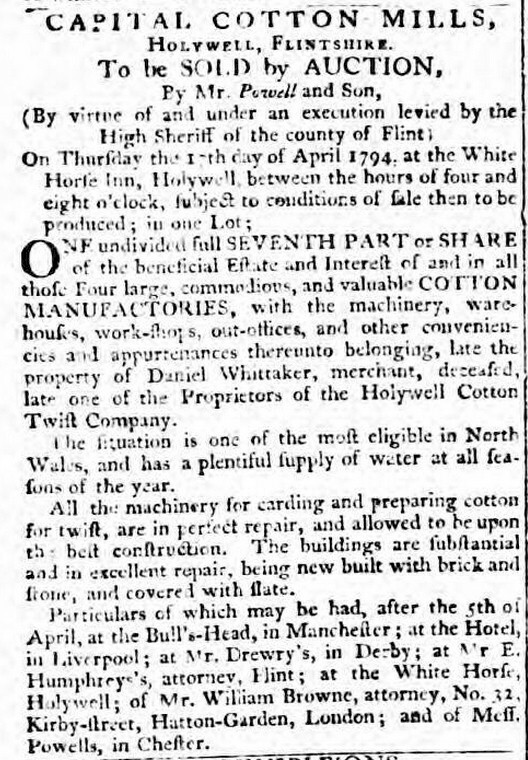 The death of Daniel Whittaker was followed in 1793 by bankruptcy and the sale of his seventh part holding in the Holywell Cotton Twist (Manchester Mercury, 1794). 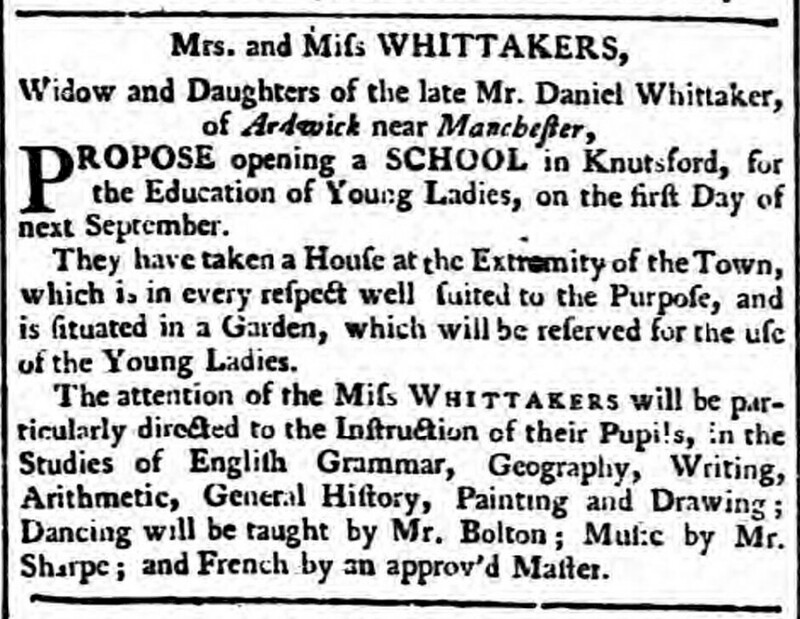 Esther and the girls escaped to Knutsford and in 1794 set up a school for young ladies. John Whittaker (1721-) married Mary Gilbody in 1748. John had a son Cousin Daniel (1754-1810), a Cotton Broker in Liverpool. John and cousin Daniel were business partners with Daniel Whittaker & Sons. 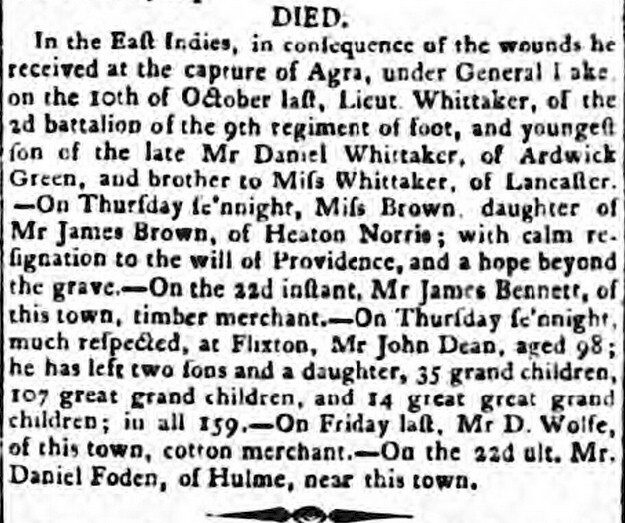 The Manchester Mercury reported the death of cousin Daniel in Liverpool. In 1750 the Whittaker family were strictly comfortable merchant class. They were not preoccupied with plight of the working poor nor the dramatic events of the French Revolution. But the constant disruption of trade due to war and peace was bewildering ... how were they to get on with the job? The rush of modern living confronted change and painful communication with annoyance, how were the new mill masters to make any money? Nevertheless politeness and polished manners were social staples on which business and propitious marriage depended (unmarried or widowed daughters were a serious problem for the successful extended family unit). The Whittakers like most folk, tried their best ... but how did they get to Macclesfield? Perhaps they started in Yorkshire, like the Milners of Pudsey & Nun Appleton? Leyland Whittaker summarised some of his research in notes on the family in 2013. From Macclesfield to Ardwick in the 1730s. There were sound commercial reasons for the move of the family from Derby to Stockport in 1732 to start silk throwing. And around this time silk throwing was also underway in Macclesfield spurred by the switch from silk to metal buttons which decimated the traditional Macclesfield manufacturers. By 1744 Charles Roe, a new comer Macclesfield via Wem, Castleton & Stockport, was leading the new throwsters in Macclesfield ... but by then the Whittakers had left ... were they displaced silk button merchants or manufacturers, leaving a sinking ship for pastures new in Ardwick? 'The connection between certain Manchester merchants and Macclesfield was well established by the 18th century. One particular Manchester merchant Samuel Tochet, in partnership with Joseph Hague , built up what today would represent a multi million pound business in the cotton trade. Touchet was on the committee of the Africa Company, and because of the enormous export business was able to provide currency exchanges for other merchants trading abroad and for the public in general. Relying on the enormity of the business, Touchet foolishly did not diversity, and by 1761 found himself well and truly bankrupted despite a last minute dash to London by his brother, who succeeded in raising a subscription of £100,000 in two days'. Certainly the move from Macclesfield was prior to the expiry of the Arkwright patents and the new opportunities in cotton. But Manchester was already the trading centre of the region ... most likely the Whittakers were ambitious cloth merchants and Manchester was Mecca? The Whittaker business premises & the winter home of Daniel & Daniel Junior was at King and/or Brown Street, off Market Street with a warehouse in nearby Marsden Street. William also leased an out of town farm at Mosside, free from grime and the stench of failed sanitation. They also retained their large home in the fashionable village of Ardwick Green. At this time supposedly the home of the various spinster aunts and sisters. 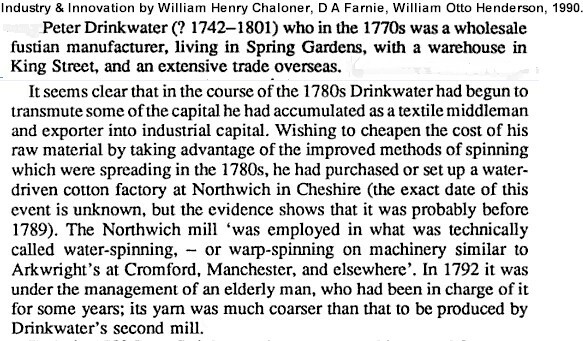 The Northwich Mill & Early Cotton Manufactories. 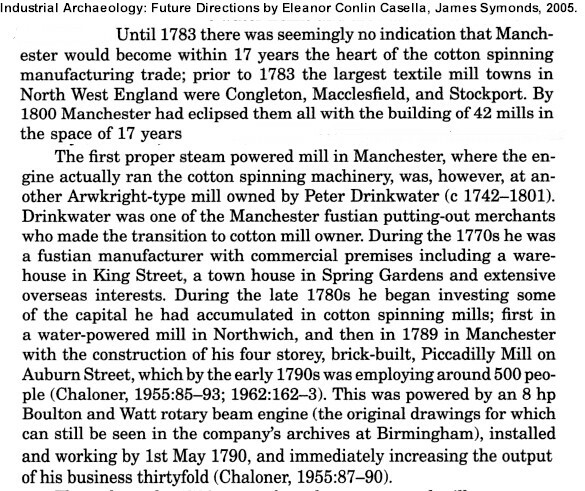 It seemed Whittaker's tentative initiative at Acton Bridge in 1781 was very early on in the development of Manchester's cotton spinning dominance. 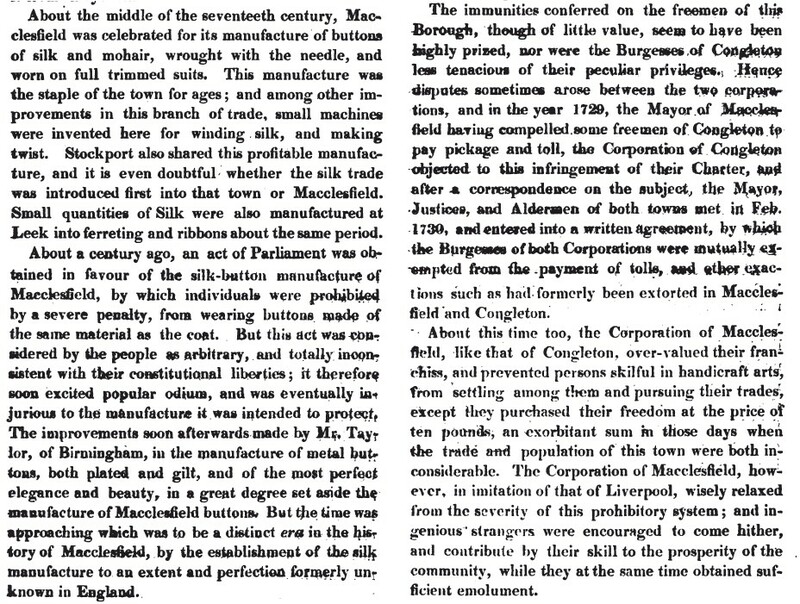 Prior to the 1780s Stockport, Macclesfield and Congleton were the leading mill towns in the North West and there the first factories were throwing silk not cotton. William Cockshott (1753-) from Bolton & later Macclesfield & Warrington, was a mate and partner with Peter Drinkwater, his son John Cockshott & Thomas Bromfield in Cockshott & Co. In 1774 William, a Chapman of Bolton, married Elizabeth Morris a young girl from Warrington. Cockshott & Co built a cotton mill on the Weaver in the centre of Northwich in 1780. 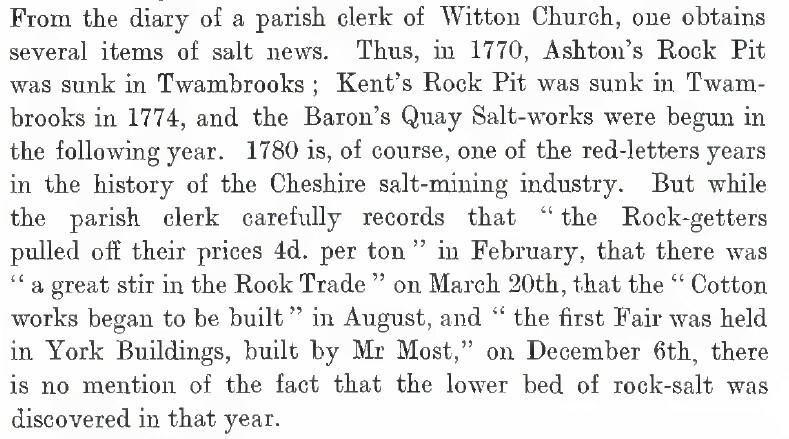 Calvert in his history of the salt industry mentions the added fervent excitement in Northwich when on March 20th 1780 'the Cotton Works began to be built' ... recorded in the dairy of a Parish Clerk at Witton Church! 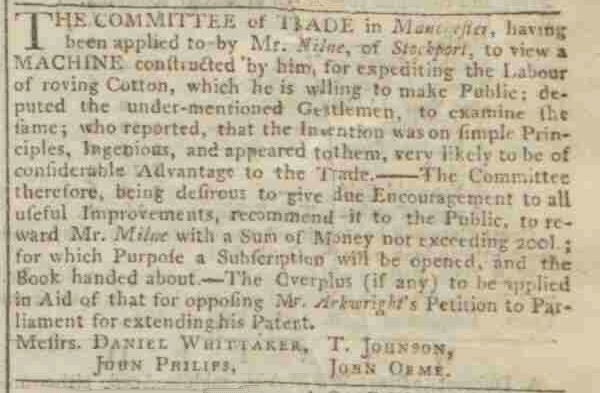 No doubt Whittaker would have been well aware that on the 6th of April 1780 Messrs Cockshott & Co of Macclesfield asked the Weaver Navigation committee for permission to use waste water from the Northwich weir for their 'manufactory in the cotton branch'. 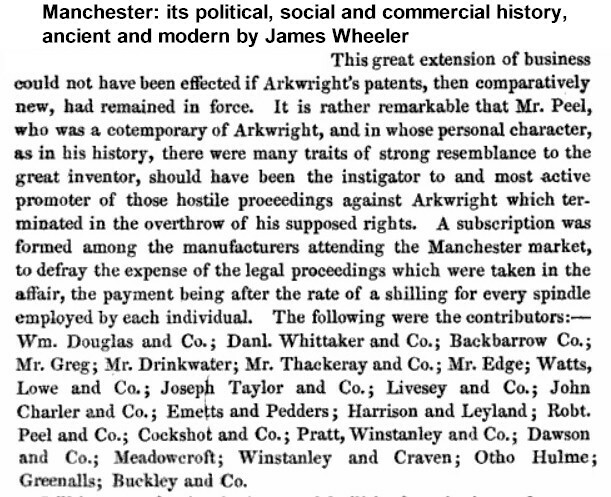 Furthermore around the same time Peter Drinkwater from Manchester was also following Arkwright's success and moving into cotton spinning. 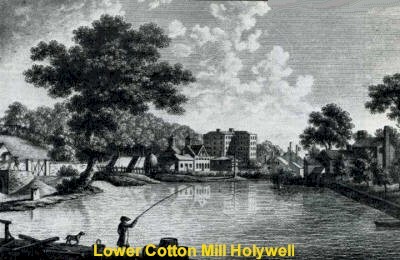 He found a suitable opportunity and in 1782 he purchased the Cockshott Mill, 'a situation on the River Weaver which, for water and hands, cannot be exceeded by any in the Kingdom'! 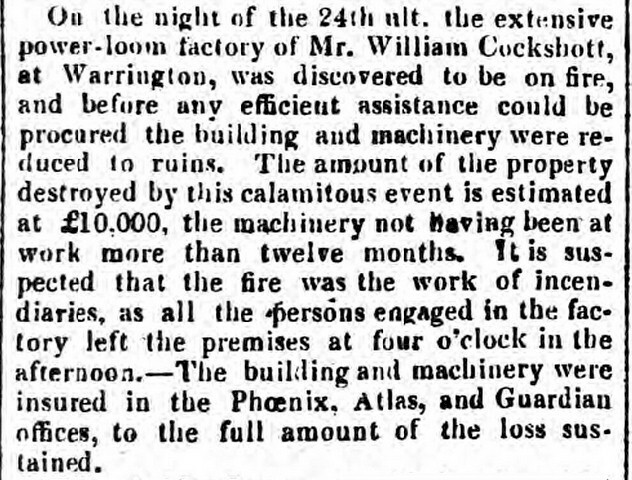 William Cockshott set up a new cotton spinning and power loom mill in Warrington which was devastated by fire in 1827. 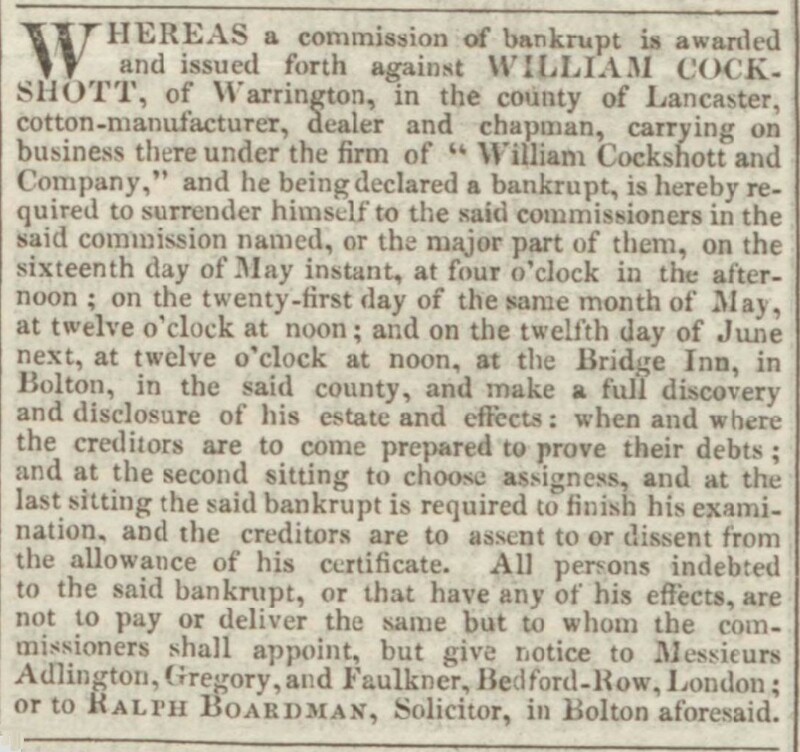 Although reported to have been fully insured with Phoenix, Atlas & Guardian, the business never recovered and eventually, like so many in the trade, went bankrupt in Warrington in 1829. 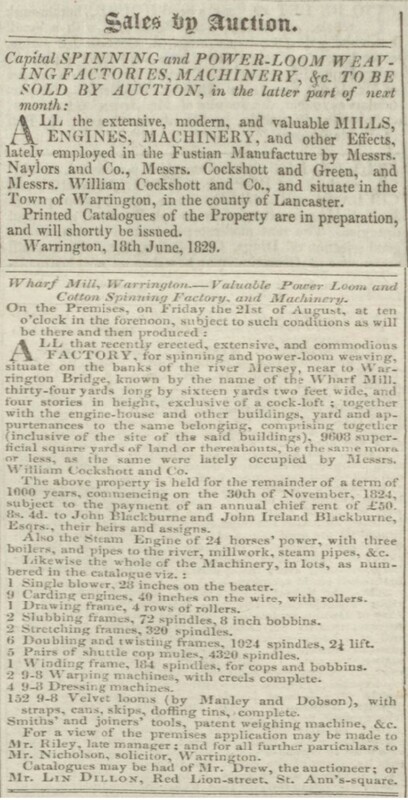 The Manchester Courier advertised the sale of his Wharf Mill at Warrington. 'Power-weaving was gradually introduced from 1810 and in 1825 there were eight steam-powered mills in Warrington, six spinning cotton and two weaving cloths including velveteen, calicoes and muslins, Warrington had close connections with the Bolton cotton industry - local cloth was sent to Bolton for bleaching and finishing and several of the leading entrepreneurs, such as John Cockshott and Tomas Naylor were Bolton men. In the summer of 1826 there was a widespread fear of civil unrest in the cotton districts and the Wharf Mill on Mersey Street, one of the Cockshott factories, was guarded with a cannon at the entrance and paving stones stacked on the roof to use as missiles against possible rioters. A year later the mill was fired by arsonists and shortly afterwards a flood swamped the buildings'. 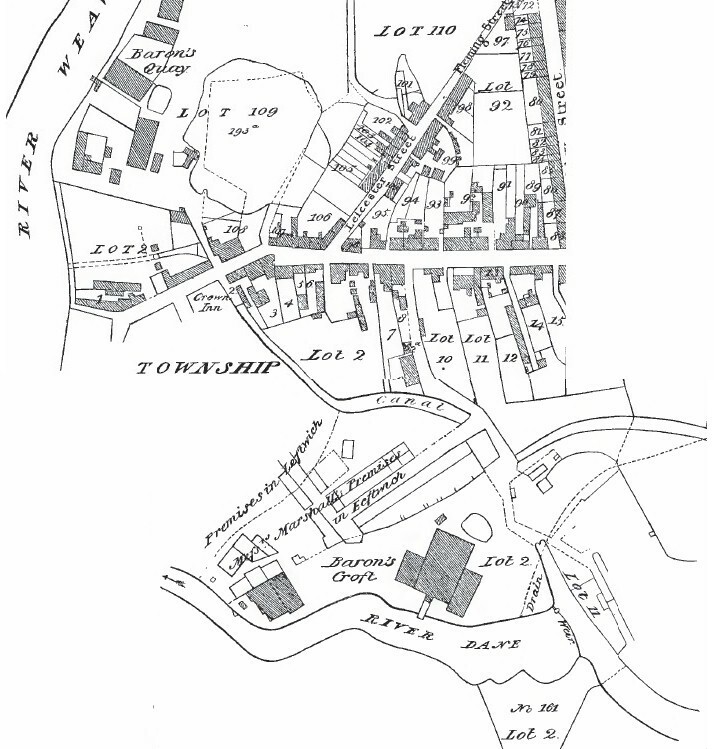 Peter Drinkwater (1750–1801) born in Whalley, Lancashire a cotton manufacturer & merchant. He was an established fustian manufacturer in Bolton and Manchester and involved in the domestic putting out system before he started factory production in the 1780s. In 1782 he invested in the cotton mill on the River Weaver at Northwich and in 1789 he constructed the Piccadilly Mill in Manchester. The Piccadilly Mill was the first in Manchester to be directly driven by a steam engine. 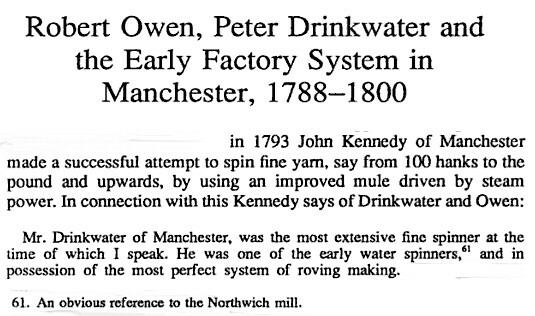 In 1783 Peter Drinkwater set about upgrading his newly purchased mill and first priority, of course, was a reliable head of water to provide the driving power. 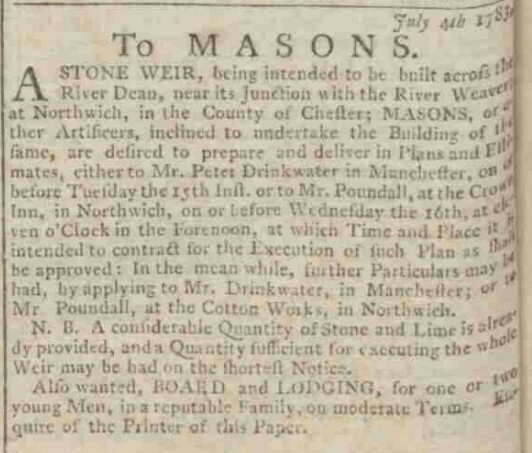 He advertised in The Manchester Mercury for stone masons to build a weir across the River Dane immediately before it joined the Weaver in the centre of Northwich. The water was diverted into a grand canal which ran from the weir at Baron's Croft Saltworks past The Crown Inn to the Cotton Works on the Weaver at Baron's Quay. The detail of this enterprising investment can be seen from the map of 1828 when the site was sold by the De Tabley estate. 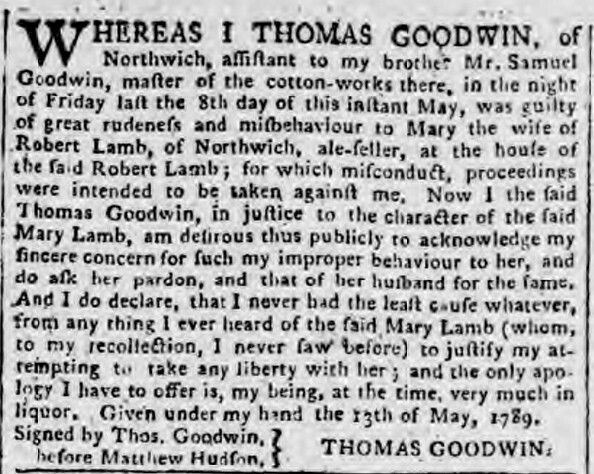 In 1789 Mr Samuel Goodwin was Master of the Cotton Works at Northwich according to a report in the Chester Chronicle. In 1790 the Northwich Cotton Works were recruiting clock makers, turners & joiners in the Chester Chronicle. 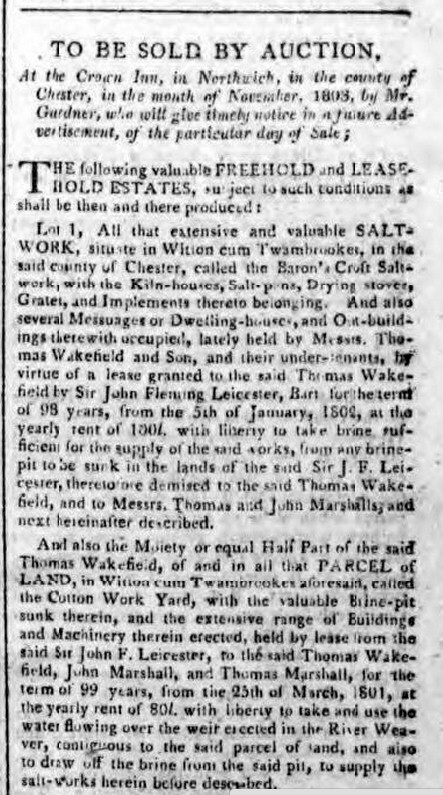 In 1803 Thomas Wakefield advertised in The Chester Chronicle the sale of Baron's Croft Saltworks and a valuable brine pit and extensive buildings and machinery in Cotton Works Yard. No mention was made of the Cotton Works. Tony Bonson provided some detail from a later sale of Baron's Croft in 1810. 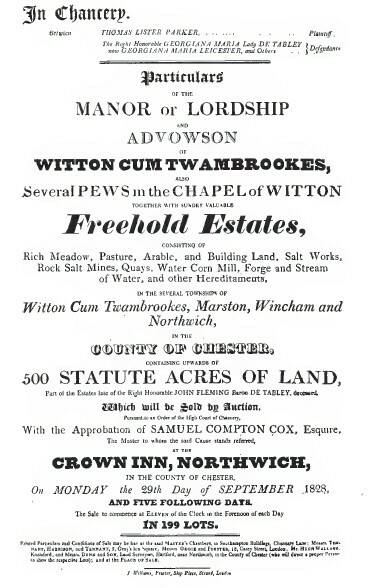 The 1810 sale was advertised in The Chester Chronicle and included details of the excellent quality stone race to a water wheel of large power at a leasehold piece of ground called the Cotton Works. Significantly the wheel power was now in 1810 used for raising brine. 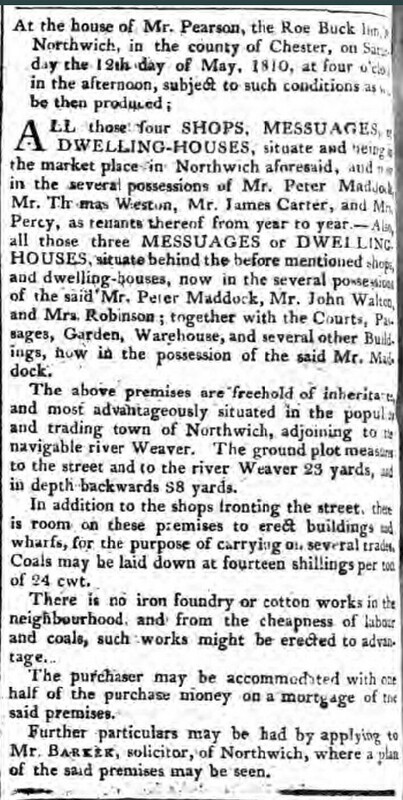 An advert in The Chester Courant selling an adjacent piece of land on the Weaver in 1810 confirmed 'there is no iron foundry or cotton works in the neighbourhood'. 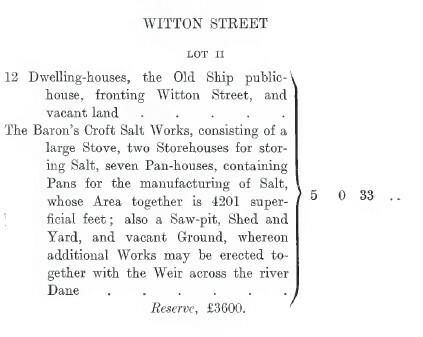 The Baron's Croft Saltworks and Cotton Works were up for sale again in 1814 in The Chester Courant in possession of Messrs Wakefield & Hadfield. 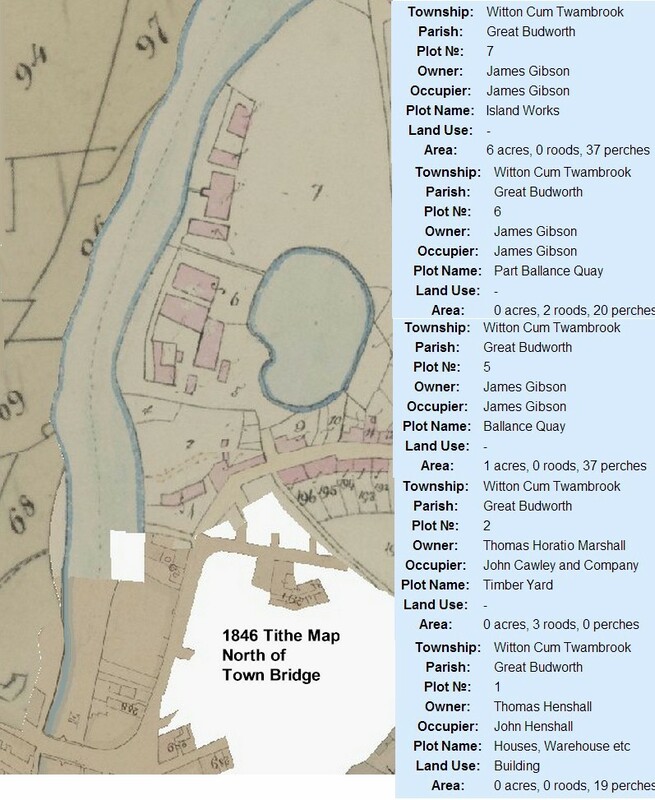 The 1846 tithe maps of Northwich show the area to the north of Town Bridge, Baron's Quay, the original site of the cotton mill. The lower plots were in the possession of the Marshall family and to the north were the extensive interests of James Gibson at Baron's Quay. The good story was told by W H Chaloner. The significance of the Northwich Mill appeared to have escaped historians. 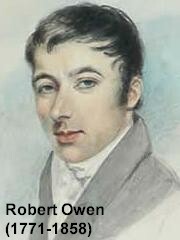 The fame of the larger than life folk involved; Cockshott, Drinkwater & Owen and the early date of the investment, 1780, makes the omission incomprehensible ... ? There is little doubt that Daniel abandoned his plans for investment at Acton Bridge because he had found a better bet in Holywell ... 16 ft of water, high flying partners and a magnificent new cotton mill ... with diversification into corn milling ... and a 'Black Jack' works ... it appears that Daniel Whittaker was involved in the smelting of zinc in Holywell long before John Budd's enterprise at Acton Bridge ... Acton Bridge was a promising site but no match for the torrents of St Winefride! The Lower Cotton Mill in the Greenfield Valley must have been the pinnacle of achievement & promise for the Whittakers. Daniel Whittaker & Co from Manchester were well known in the new cotton trade. 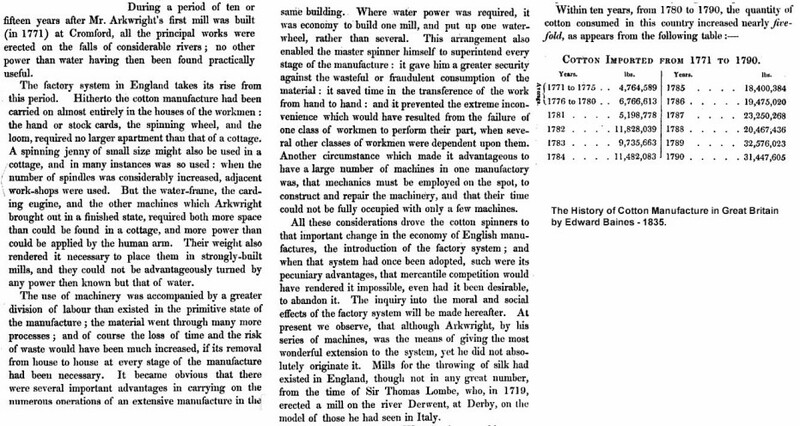 And Manchester cotton was fast becoming the engine of the industrial revolution delivering mutual benefits for everyone. Daniel Whittaker & Co were well known in the Manchester cotton trade. 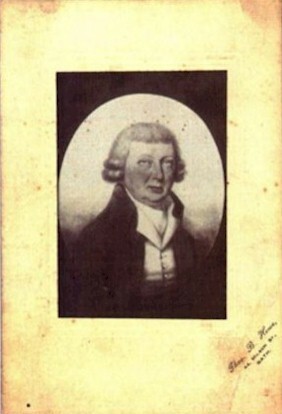 James Ackers ( 1752 - 1824 ) was Chairman of this august gathering in the Bulls Head. James was often described as the father of the silk trade in Manchester. 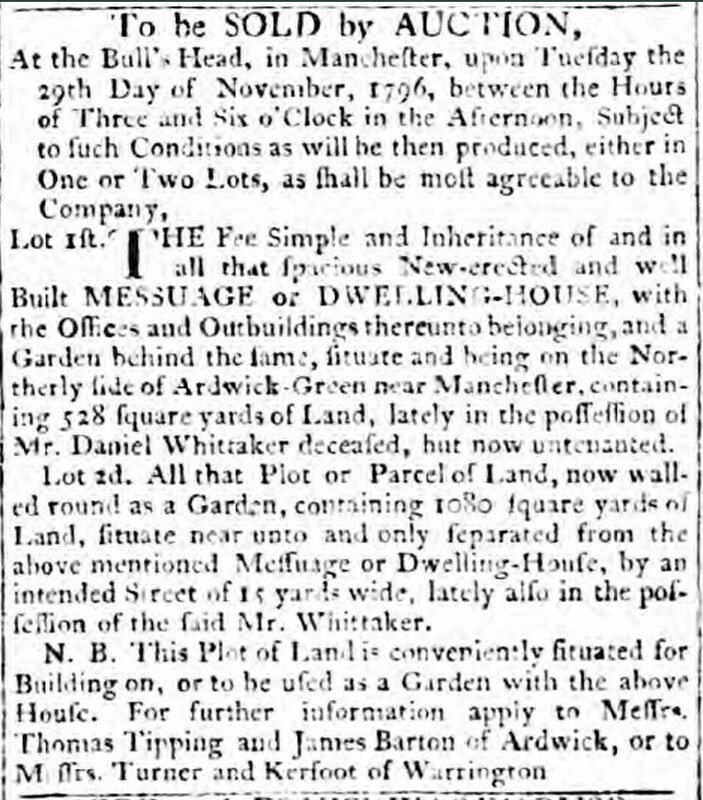 James and Holland Ackers (1744-1801) of Bank House, Manchester, were the sons of George Ackers, a Manchester silk, linen & fustian manufacturer from Bolton, who had made a fortune from land speculation in Manchester and opened a warehouse near St Mary's Churchyard, Manchester. Both sons entered the family business at an early age and saw it grow to prominence in the town. 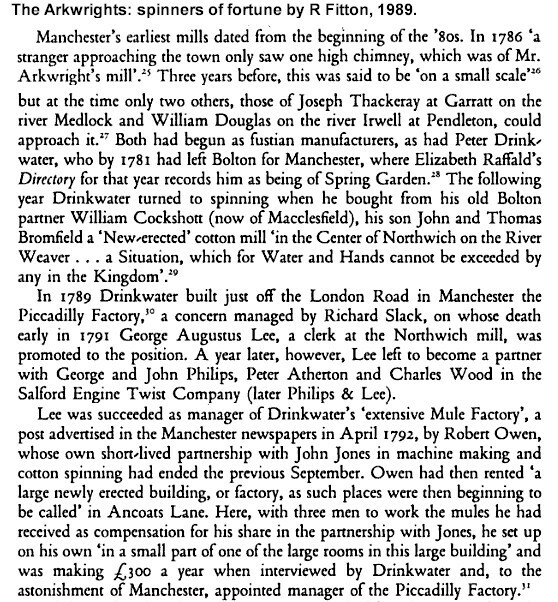 The first entry in Colquhoun's Lancashire list is James Ackers, Beever & Co whose water frames in Salford spun much of the thread for the handkerchiefs they sold in such quantities from their warehouse. In 1792 James was Borough Reeve to the City of Manchester. The brothers purchased the Great Moreton estate in 1793 for £57,107. When he died in 1801, Holland Ackers left a young son, George Ackers (1788-1836). In 1809, when his nephew came of age, James built Lark Hill Mansion and and Great Moreton passed to Holland’s descendants. Holland's grandson, George Holland Ackers (1812-72) inherited the house in 1836 and built the present large castellated Gothic mansion designed by Edward Blore in 1841-46. In 1792 'Levellers and Republicans' was a general term of abuse for rebels who had no respect for legal stability and property rights. The fear of revolution was a key feature of English political life in the 1790s when the government and propertied classes began to fear an nationwide conspiracy aimed at the overthrow of the established order. The Bastille was stormed in 1789 ... and by 1793 there were several thousand of these loyalist organisations in England. The Association for the Preservation of Liberty and Property against Levellers & Republicans was a nationwide organisation, with up to 2000 branches. It was clear there was a network of entrepreneurs, family and friends, around the Manchester cotton scene, all of them confronting risk, uncertainty and adversity ... in 1793 the Whittakers who stumbled ... life was a hard task master ... but nobody said it was easy! In late 1793 shortly after Daniel Whittaker (1720-92) died and his eldest William (1760-1816) had inherited the business there were ominous developments. All the books described the great achievement of the industrial revolution as the application of innovative technology which enabled the mass production of goods in factories ... however William Whittaker knew the bigger success of the industrial revolution was the organisation and supply of investment capital. 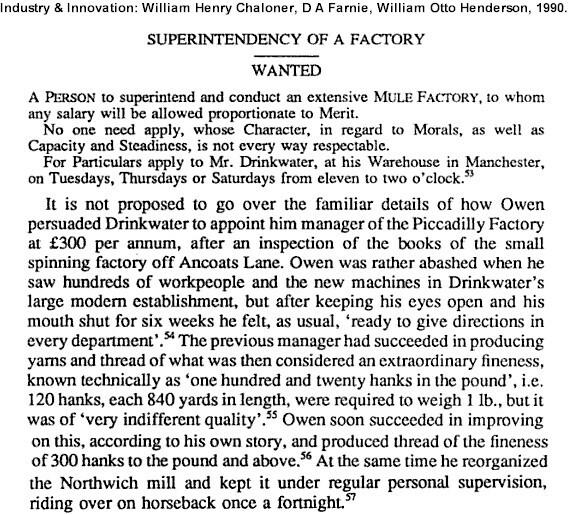 Those with the money had no ideas and those with the ideas had no money ... and the powers that be always had neither ... the real problem of mass production in factories was obvious to William Whittaker ... staring him in the face ... funds for risk! Tragically in 1796 the house at Ardwick Green was sold. William had married well and had powerful family friends in Liverpool ... Cousin Daniel was broking cotton there and Messrs Humble, Hurry, Holland & Pool were resident ... and Stephen Todd was in London ... following the trouble with France, a major object of British naval policy was to keep America open for trade ... William could help to keep cotton flowing into Liverpool from South Carolina as an agent for the Humbles ... gossip in the coffee houses & taverns suggested this was a grand scheme ... especially as the trade in slaves was now problematic! Bankrupts could only be discharged by a certificate signed by four fifths of creditors and signed by any owed more than four fifths of the total. This tortuous provision had no time limit and drove William Whittaker to distraction. After Trafalgar in 1805 there was every prospect that 'Britannia ruled the waves' and trade with America was again enticing; in 1806 a desperate William Whittaker and an enterprising House of Humble tried again ... but a harebrained plan to invest in an odious distillery in Cuba was exactly that! The Whittaker family's ongoing involvement in cotton can be gleaned from The London Gazette which recorded in 1805 the dissolution of a Daniel Whittaker partnership with Gam Milner junior (-1841); cotton spinners at Thurlston & Manchester? And again in 1812 The London Gazette recorded the payment of dividends by Gamaliel Milner of York and Daniel Whittaker of Manchester; cotton manufacturers, Palace Inn, Manchester? This connection was interesting as the Milners of Attercliffe were renowned Quaker iron masters. 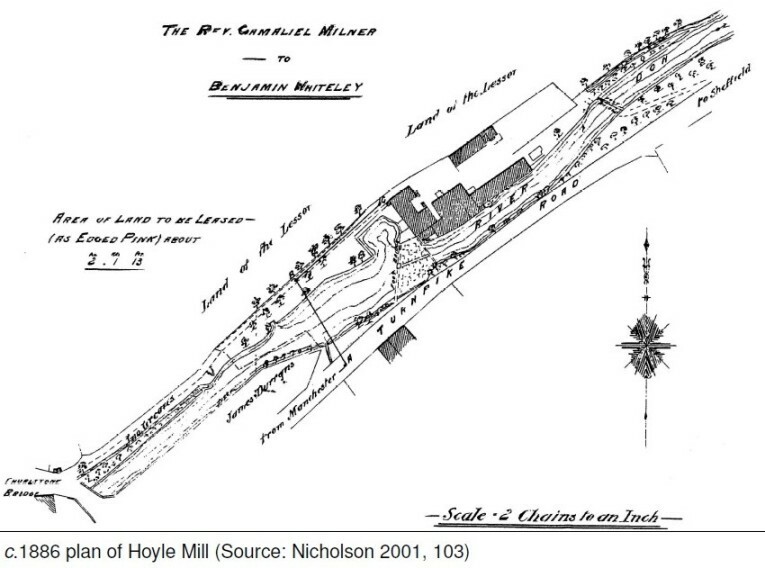 Richardson & Dennison suggest the ownership of Holye Mill on the Don at Thurlstone passed to the Milners in 1777, when Susannah Walton married Gamaliel Milner of Attercliffe. Thurlstone was big in cotton at this time; the population almost trebled in size during the 19th century from just over 1,000 in 1801 to nearly 3,000 in 1901. The militia returns for 1806 demonstrate the extent to which the textile trade dominated the local economy. In 1822, Baines lists 'Gamaliel Milner Esq' under Thurlstone, but no occupation is given, and it may be that the mill was leased out at this date. The site was owned by John Crossland Milner from the mid 19th century; in 1834 Pigot listed J C Milner as a woollen cloth manufacturer and merchant. 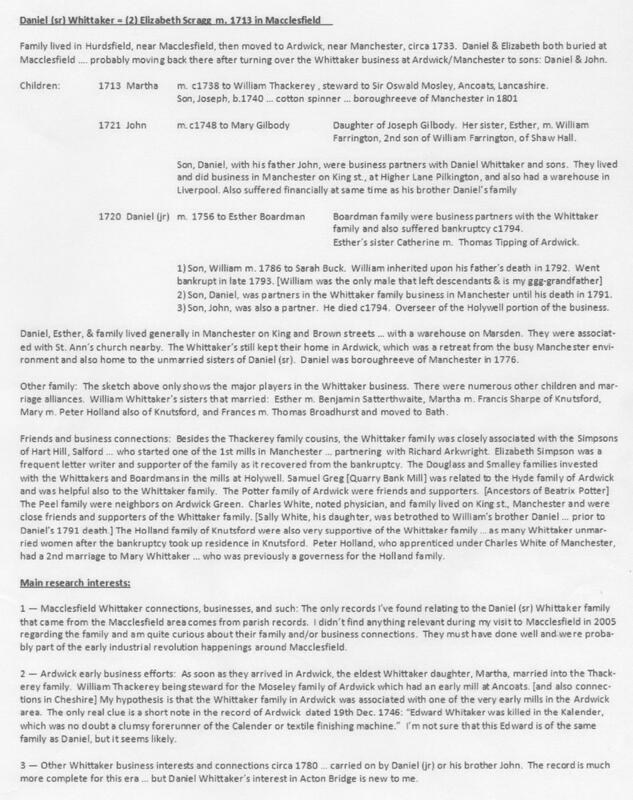 It looks like the Whittakers teamed up with some big shots from Yorkshire; was this same Milner family who owned manors in Pudsey & Nun Appleton in Leeds and land around Acton Bridge? Whittaker factory innovations harnessed risk capital for investment in new technology for mass production of goodies for everyone. The immense success involved persistent struggle with the management of risk, competition & urban trekkers. But it always seemed the associated appalling congestion, squalor and alienation of the poor which was blamed on the rich? The Whittaker legacy provided a rich source of evidence which suggested that the industrial revolution was an evolutionary economic process which was underpinned by a strong moral urgency to earn a crumb for the family and not by any intention to exploit the urban trekkers. The Whittakers were involved in exchange trade which generated synergies of specialisation and economies of scale ... but also hatred of the rich ... and in 1793 bankruptcy. The wealth creation process of the industrial revolution was described by Adam Smith in 1759 & 76 and class exploitation was described by Karl Marx in 1850 ... and later the evolutionary economists described how business failures helped to free up resources for alternative wealth creation processes which led to economic growth. This was Darwin's unlikely story of the giraffe's long neck resulted from the death of short necked variety! The historical record detailed, and repeated at length, the wealth creating successes of entrepreneurs like Abraham Darby, Arkwright, Wedgwood & Watt ... but only later did the evolutionary economists stress the unrecorded role of Darwinian diversity & bankruptcy. The evidence of the few successes survived to be seen everywhere but the many failures were unseen but nevertheless served to push men like the Whittakers to renew their efforts in other directions ... in many ways the Whittaker bankruptcy, and its aftermath, was just as important to record as the story of James Watt and his steam engine. Perhaps Mrs Gaskell in 1848 provided a wonderful insightful commentary on some of the problems the Whittakers faced? Elizabeth Gaskell was part of the aftermath of the Whittaker bankruptcy. Elizabeth's uncle was Peter Holland (1766-1855) who married Mary Whittaker (1769-1840) in 1809, daughter of Daniel Whittaker (1720-92). Peter & Mary were important figures in Elizabeth Gaskell's formative years. Peter was the Knutsford surgeon who pioneered occupational medicine and was the custodian of the health & welfare of the workers at Samuel Greg's Quarry Mill at Style. The Hollands were nonconformists and Elizabeth married the Unitarian William Gaskell. 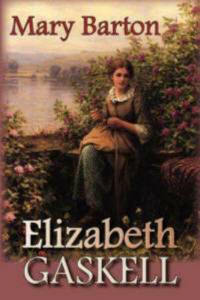 No doubt this pious background influenced Elizabeth's views. 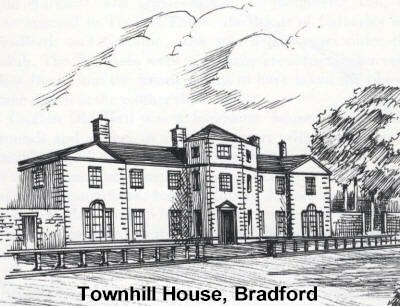 However, perhaps disingenuously antiquarian Edward Hall suggested a source of Elizabeth Gaskell's inspiration may have been the discovery of a batch of old letters, studiously collected by Rev John William Whittaker (1791-1854) which added insightful social detail to the Whittaker history. Four huge folios of correspondence were preserved over a period of some twenty years, over 1500 letters, some dating back to his school days but the main covering his days at St John's College, Cambridge, and then the years of triumph in his chosen career as author of polemical works, which led to his being chosen as domestic chaplain to the Archbishop of Canterbury himself, followed by the grant of a sufficiently lucrative incumbency in Lancashire, as Vicar of Blackburn. Perhaps it was possible that the Whittaker legacy underpinned the story of Mary Barton? 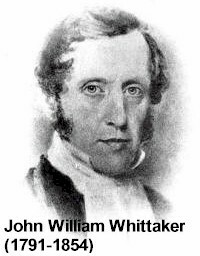 However, Leyland Whittaker pointed out that the Whittaker letters reflected far more on the successful, more conventional, career of John William Whittaker (1791-1854) than on the pre-bankruptcy successes of the Lower Cotton Mill at Greenfield which were best forgotten lest they resuscitated the ignominy of the 1793 bankruptcy. 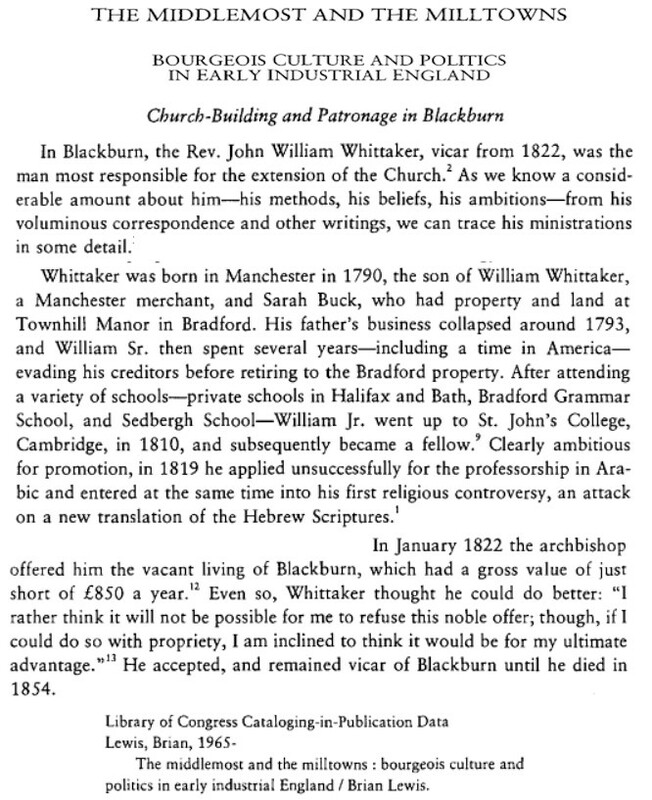 But, with the benefit of hindsight, the massive achievement of Daniel Whittaker at the Lower Cotton Mill had a much bigger impact on economic developments than the sermons of John William at Blackburn. The description of the bitterness got all the headlines. The description of the prosperity was enlightening. Chapter 9 'London Experiences' - 1839 something must be done by 'the powers that be'? Chapter 18 'Murder' - class hatred turns to bloody violence? the old schemes of the Mercantilist Bishops, Princes, Generals nor bureaucratic majorities did not create wealth on the scale of the industrial revolution. 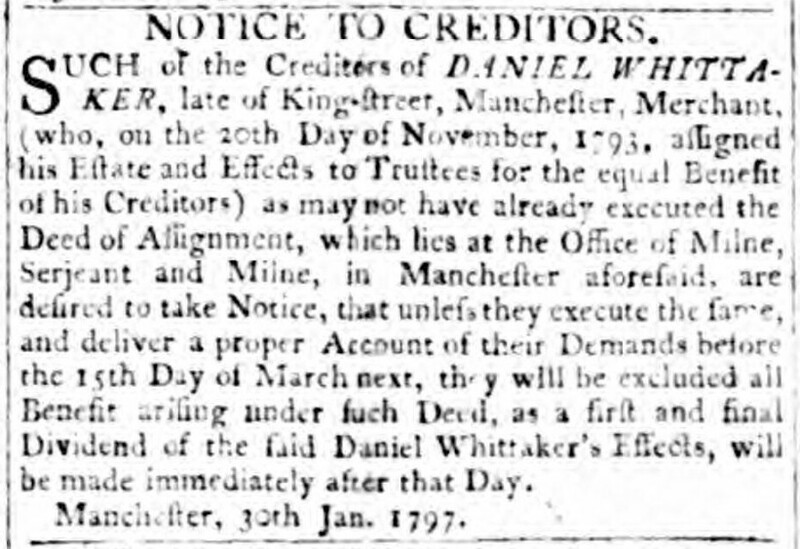 In 1792, just before he died, Daniel Whittaker understood how lethal debt could be. Maybe if he had built his cotton factory at Acton Bridge, debts may not have been so overwhelming ... nobody knew? And nobody could fathom risk ... but there were cultural & institutional & economic changes in the air. Bankruptcy, the evolution of risk & the industrial revolution. Failure was a Darwinian necessity, that's how evolution worked. There were many reasons for failure because there were many more ways of being dead than alive and nobody ever knew in advance how the cookie would crumble. In ancient Greece debtors who didn't pay up lost not only their property but also their personal freedom to slavery ... albeit limited to 5 years. The Old Testament described 'sabbatical years' where all debts were forgiven and a fresh start made possible. The Year of Jubilee was announced in advance as a Day of Atonement ... the tenth day of the seventh month, in the forty-ninth year the Jubilee was celebrated by the blowing of trumpets throughout the land of Israel. The Koran mandates, 'And if someone is in hardship, then let there be postponement until a time of ease. But if you give from your right as charity, then it is better for you'. The Christian doctrine of redemption gave everyone a second chance to contribute their skills again ... why waste potentially valuable contributions? From the early days there was clearly an obligation to repay debts but also a growing compassion for those who fell on hard times; a biological empathy, a moral understanding, that both debtors & creditors lose when things get tough ... just as both debtors & creditors gain when synergies are discovered. A slow cultural and institutional change not them & us but mutual benefit (and pain) of inclusive cooperation. 1542 - The Statute of Bankrupts - defined a punitive regime. Bankrupts were crooks, defrauding their creditors, assets were to be seized and sold to pay off creditors. The aim was to prevent 'crafty debtors' leaving the country. But if bankruptcy was unintended, punishment had no deterrent effect and did not help creditors to get paid. 1705 - The Bankrupts Act - the idea of discharge and release from the burden of debt, shame & guilt. A more humane approach involved The Lord Chancellor discharging bankrupts after full disclosure of all assets and debtors agreeing to pay what they could. But the old idea that bankruptcy was a crime was retained. Creditors were to receive what was possible. Debt discharge started to become a pillar of English law; encouraging some risk. 1813 - The Insolvent Debtors Act - recognition that getting blood out of a stone was a waste of effort. Creditors started proceedings but debtors could request be released from prison after 14 days if they gave an oath that their assets did not exceed £20. But creditors could still object. But what was the point? 1825 - The Bankrupts Act - attitudes were changing and with the agreement of creditors, folk were allowed to start proceedings for their own bankruptcy. Debtors sought a second chance and negotiated with creditors on a compromise. 1849 - Bankruptcy Law Consolidation Act - voluntary bankruptcy was authorized. Bankruptcy proceedings agreed between debtors & creditors also occurred when a trader filed a declaration of insolvency in the office of the Chancellor’s Secretary of Bankrupts. Not all bankruptcies were fraud ... the best laid plans of mice and men go oft awry. The beginning of an idea that bankruptcies could be positive, wiping the slate clean and making way for more successful wealth creation ventures. In the middle of the 19th century attitudes towards corporations were also changing. The South Sea Bubble fiasco left companies in the dog house, most folk thought they were inefficient & dangerous. But with the industrial revolution in full swing that all changed, some companies were clearly seen to be remarkably efficient & beneficial. 1844 - The Joint Stock Companies Act - companies could be created without the necessity of a royal charter and had a legal identity able to sue and be sued. They provided a straight forward way to raise capital through share purchase. 1844 - The Joint Stock Companies Winding-Up Act - was a sister Act providing a mechanism for bringing the existence of company entities to an end with debtor creditor claim resolution. 1855 - The Limited Liability Act - a further innovation., this time to limit the losses of shareholders to their investment in shares. A further balance of the interests of debtors & creditors and an encouragement for risk taking. 1856 - The Joint Stock Companies Act - consolidated company legislation and the modern law of corporate insolvency was born. 1869 - The Bankruptcy Act - enabled all people, rather than just traders to file for bankruptcy. England led the industrial revolution and led the way in bankruptcy legislation ... both were economic changes associated with ever more sophisticated moral sentiments where Tort Law followed custom & practice of economic interactions. Contrast the Napoleonic Code which was clearly more creditor friendly and reinforced a negative moral bias towards debtors. A slow evolution which recognised the importance of debt recovery for the credit trade and then the slow appreciation of the ubiquitous nature of failure and importance of risk progress. Risk takers were protected from creditors wrath and orderly processes were available in the courts for debt recovery for a hierarchy of creditors ... all creditors were treated in the same way but there were different classes of creditors to suit wishes. going concern / liquidation - liquidation has the merit of quicker release of some funds for creditors perhaps at the expense of a revival of fortunes ... but there was also the release of resources for better alternatives. Understanding moved from criminality to adversity to misfortune to creative destruction. Understanding moved from zero sum activities to positive sum cooperative synergies. Bankruptcy protected the risk takers but led to increased debt financing. Debt financing was also encouraged as interest payments on debt received favourable tax treatment. The powers that be ended up protecting both sides from irreducible risk ... but moral hazard was everywhere ... paying for the cost was better than the debtors prison? ... but was it better than equity finance? During the nineteenth century, complex evolutionary historical processes resulted in different bankruptcy legislations which proved to have different effects on economic efficiency. They all confronted similar problems of economic stability, protection of creditors and the encouragement of entrepreneurs & risk takers, but results were different. This diversity was a puzzle as each country could have simply imitated the most efficient legislation? However the economic environment, institutions and business organizations were different. The path dependency of historical evolution of culture & institutions does not necessarily lead to the most efficient outcomes. Perhaps the inability of law to deal successfully with the problems of bankruptcy can be illustrated by looking at the way in which banking crises were addressed; continuous recourse to state engineered bail out operations was an excellent indication that existing laws had failed. Rigidities in patterns of evolution were revealing: Italian legislators never abandoned the punitive view of the debtor. The legacy of medieval legislation reinforced by the nature of the Napoleonic code, and were never able to credibly reform the idea of bankruptcy as a crime. 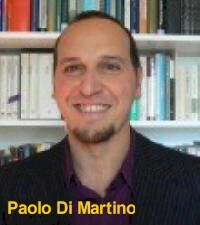 Insolvency and banking distress were endless threats to the Italian economy and they had to be addressed somehow. The combination of a structurally rigid approach and continuous emergences produces a series of ad hoc solutions unable to deal effectively with the more general problem. The American law, inspired by English law, never had the problem of being excessively punitive. However a number of financial and economic downturns particularly affected the US. In this case, the combination of tolerance and crises led to the emergence of a debtor friendly and continuation oriented legislation. The resulting institutions were not only suitable to deal with the issue of supporting entrepreneurship and aiding recovery from shocks, but also fostered speculation, risk behaviour ... and frauds. Having started earlier than any other country, the English legislation produced by 1883 a complete and satisfactory law whose structure benefited from the results of previous experiments and transformations. Modern English bankruptcy legislation had its roots in creditors supportive medieval laws but began to lose its punitive nature in the eighteenth century. Economic turbulence caused by fast development of trade and economic activity in general made clear that the equation bankruptcy equals fraud had little empirical support. In response to this changing attitude, the revolutionary instrument of debt discharge was introduced. Free from the constraining influence of the Napoleonic code, the English legislators moved in the direction of making bankruptcy easier and softer for debtors; the introduction of deeds of arrangement, separate treatment for small debts, abolition of the strict insolvency law for non traders and of the imprisonment for debts are all examples of this evolution. Creditors progressively lost power vis-à-vis debtors and public bodies up to the point when, in the 1880s, management of bankruptcy laws and procedures was firmly put in the hands of the board of trade. 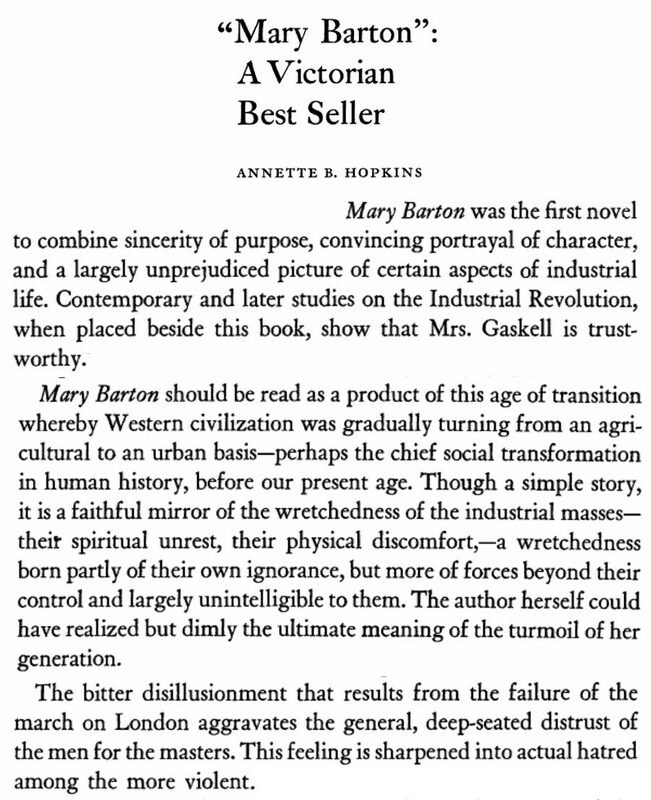 'Mary Barton' by Elizabeth Gaskell, 1848. 'Cranford Again' by Edward Hall, Manchester City Library 1950. Rev. 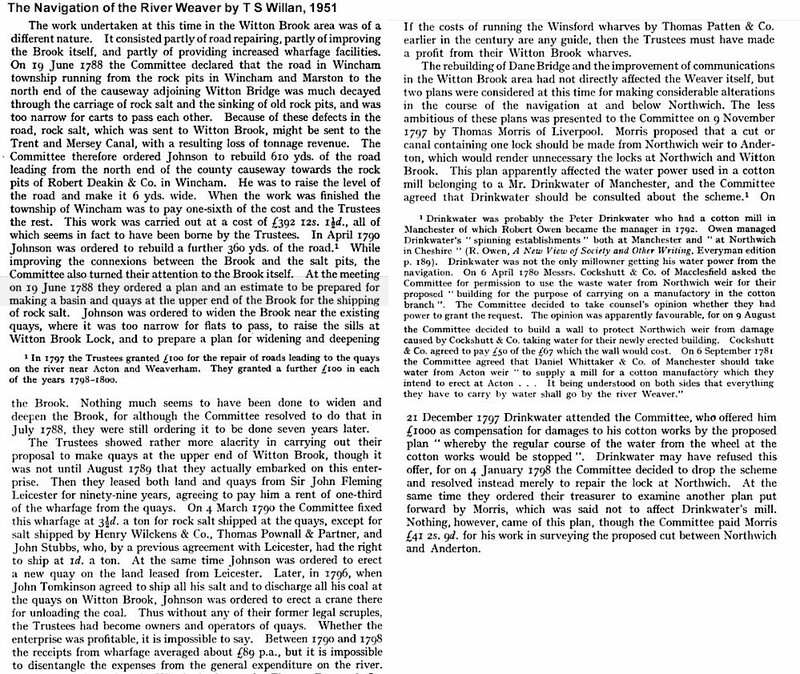 Mr John Whitaker 'History of Manchester' 1773. 'Feeding the Victorian City: the Food Supply of Manchester, 1770-1870' by Roger Scola, 1992. 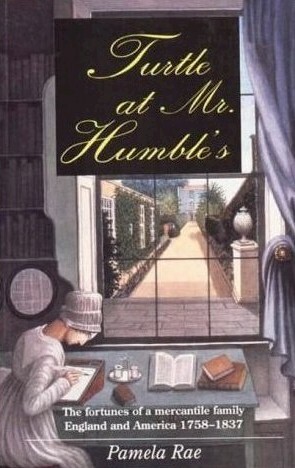 'Turtle at Mr Humble's - The fortunes of a mercantile family, England & America 1758-1837' by Pamela Rae, 1992. 'Elizabeth Gaskell: The Early Years' by John Chapple, 2009. Thanks to Leyland Whittaker for the research but the errors are mine.